The Dollar ReDe$ign Project is a grass-roots movement to redesign America’s paper currency, and this year, artists submitted more than 60 entries. View a sampling of the designs submitted over the last two years. Just announced! 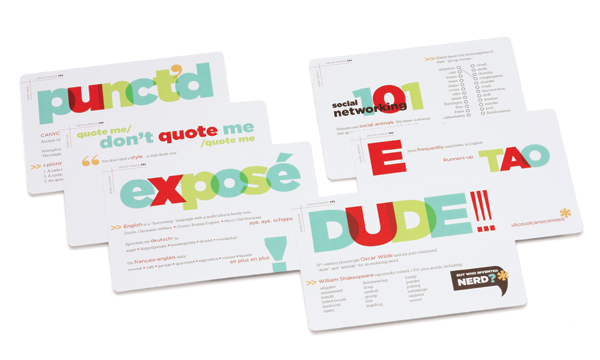 Our “Word Play Postcards” entry in to Print Magazine’s Regional Design Annual was awarded and will be featured in their 2010 issue, due on newsstands this November. No big deal though, it’s just another feather in our well-decorated cap.